The US has a slightly different definition of the two types of law firm operating in each jurisdiction. In the UK we call them High Street law and Commercial law firms, although the two overlap a bit. 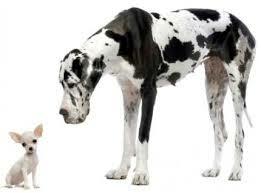 In the USA they term the two types of firm SmallLaw and BigLaw. This makes a lot of sense. The larger law firms in the UK are predominantly based in the city of London and employ literally armies upon armies of lawyers & support staff and work with huge state institutions and corporations. Billing levels for paralegals start at a rate higher than a lot of partners in high street firms. High street firms operate on tight budgets and commonly have less than 20 employees. In large firms the solicitor will get the call and say “Thanks for calling me about this. I’d be delighted to represent you, but I can’t commit to handling the case until I check conflicts. Please don’t tell me anything more about the case. I’ll run a conflict check and get back to you as soon as possible.” The solicitor asks a conflict-checker to do the necessary search of the conflicts database. The computer searches for “BigCo” and “Big” and “Co”; and all corporate entities that have those words (or fragments) in their names; and parents, subsidiaries, and affiliates of all those corporate entities. Two hours later, the solicitor receives a 53-page spreadsheet with the names of all current clients, former clients, and potential future clients whose names the computer generated. The list is broken down not just by client name, but also by individual matter, and many matters were handled by different “responsible partners” at the 30 offices around the globe. The solicitor dutifully sends out emails to the partners responsible for every matter that might create a conflict. A couple of those partners are in trial, and a few are on annual leave and one no longer works for the firm. The partner in the Hong Kong office naturally refuses to answer emails, despite many nudges. Three weeks later, the solicitor returns the call to his client, happily reporting that he can take the case. (I’ve borrowed these examples from Mark Herrmann, a US lawyer with experience in both types of law firm in the USA (see www.abovethelaw.com/2015/11/the-unspoken-differences-between-biglaw-and-small/ for the full article). Next Post NQ Solicitor Salary £100,000 per annum – but is there a catch?